Cox Communications is one of the largest cable internet service providers in the US, covering more than 20 million customers across 19 states. It has several service tiers with download speeds ranging from 10 Mbps to 1 Gbps, so light and heavy internet users alike can choose a package that suits their needs. If Cox is the main (or only) provider in your area, you’ll benefit from a wide variety of plans, highly rated customer service, and cable coverage that’s known for being more reliable than most DSL and satellite options. That said, Cox Communications tends to be pricier than other ISPs that offer similar speeds. It also has a reputation for delivering slower download speeds than advertised. We recommend using our ZIP code tool to view available providers in your area. If you have access to multiple providers, there may be a faster, more affordable option than Cox. Most likely. In terms of speed, Cox aims high. Downloading ranges from 10 Mbps to 1 Gbps — and that second number is blazing fast. 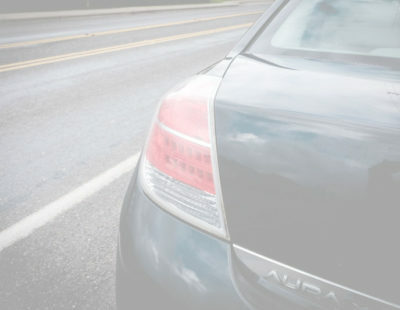 Of course, the speeds you get will depend on the plan you purchase, and there’s a chance they’ll come up short. According to The Federal Communications Commission (FCC)’s latest report, about 75% of Cox customers receive the speeds they pay for. Of course, Cox’s cable internet is still a safer bet than most DSL or satellite providers, which sometimes deliver promised speeds to as few as 10% of customers. As for internet “all over your house,” Cox is primarily referencing the Panoramic Wi-Fi package: its take on mesh Wi-Fi. A mesh system almost always provides better coverage than a traditional router, as it uses multiple routing devices to reach every corner of the house and prevent dead zones. This technology isn't unique to Cox, and it costs an extra $10 per month on top of your internet plan to get this coverage. So, while Cox can offer high speeds all over your house, it isn’t providing anything especially unique. 1.5 TB — additional $30/mo. Panoramic Wi-Fi rental: $10/mo., with each extender an additional $4/mo. Cox earns high customer satisfaction ratings compared to other ISPs. It was one of only three companies that scored five stars for customer service in J.D. Power’s 2017 survey. The study, which polled customers’ opinions on performance, cost, billing, and communication, also awarded Cox Best Residential ISP in the West. 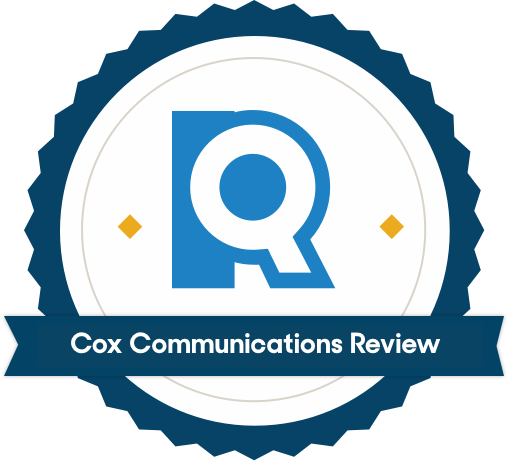 Cox received lower scores in cost of service and communication in the other regions. But overall, the company performs better with customers than its competitors. Cox’s internet plans come with a data limit, but at 1 TB, you’re unlikely to ever max it out. According to data usage calculators (like this one from Cox), you’d have to stream eight hours of HD video daily while gaming, surfing the web, streaming music, and posting on social media in order to hit that limit. Even if you do have a household of gamers and 4k streamers, Cox offers some options to help. For an additional $30 per month, you can boost data to 1.5 TB. Or, for $50 extra per month, you can upgrade to unlimited data usage. All Cox internet packages come with the Cox Security Suite Plus, free of charge. This software, powered by security company McAfee, protects your devices from viruses and other malware. It can be installed on up to five devices of your choosing, including computers, phones, and tablets from Windows, Mac, and Android. That means you can surf and stream worry-free no matter where you are. Cox offers more than 500,000 Wi-Fi hotspots nationwide, so customers in all of its service areas will have easy access to free Wi-Fi. Instead of hunting for rogue networks or draining your cellular data plan, you can connect to one of these hotspots and you’ll be up and running in no time. Note that you’ll need to download the CoxConnect app in order to search for hotspots and connect to them. 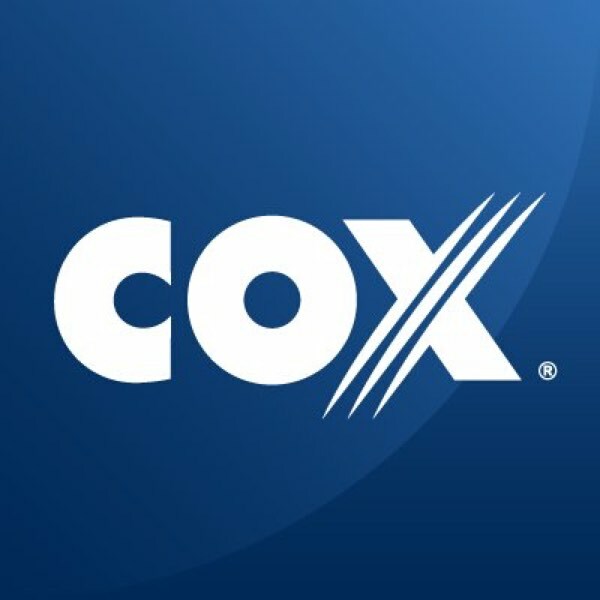 Cox also offers TV, phone, and home security plans and will give you a discount for bundling those services together. If you pair internet with television, for example, you can save between $5 and $35 per month (depending on which internet packages you select). You can also throw a landline into the mix and save a few dollars per month on your phone service. Cox’s telephone package — normally $30 per month — can be added to most bundles for only $10. This includes unlimited long distance, international calling, and more. With any TV, phone, or internet plan, you’ll have access to the CoxConnect app for your smartphone or tablet. At its most basic level, CoxConnect lets you keep track of your bill, make payments, and check on scheduled appointments with a Cox technician. With internet packages, it also lets you monitor your data usage (so you won’t exceed the 1 TB data limit) and change your network name and password. Other features we love include phone logs and voicemail access for landline users, TV listings for cable watchers, and the ability to find and connect to Cox Wi-Fi hotspots. Cox advertises reliable internet in every corner of the house, but that top-notch coverage costs extra. The company is referring to its Panoramic Wi-Fi mesh system, which costs $10 per month on top of your plan. 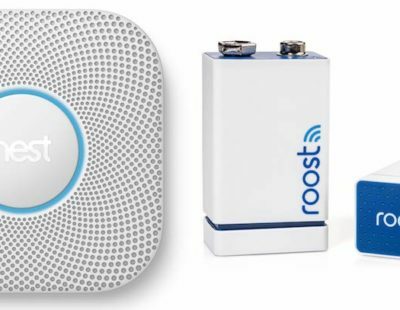 In addition, your install technician will assess whether your house requires extra extenders to complete the Wi-Fi "blanket" — if it does, you’ll be charged another $4 per month for each one. This won’t matter as much for apartment dwellers or people with small homes; in those situations, an average router provides plenty of reach. But those in multi-story homes with large floor plans may have to pay more for total coverage. The FCC’s 2017 study revealed that around 75% of Cox internet customers consistently get the Wi-Fi speeds they pay for. The other 25% are being short-changed — sometimes with speeds up to 20% slower than advertised. When compared to other major cable internet providers like Charter, Comcast, and Mediacom, Cox is the least reliable of the group. Still, it’s worth mentioning that DSL and satellite providers fared much worse for reliability. For example, while 75% of Cox customers receive the speeds they pay for, a shockingly low 12% of CenturyLink DSL users are getting theirs. If you have the choice between a DSL provider and Cox cable internet, Cox is still your best bet. Price (for the first 12 months) $29.99-$119.99/mo. $40-$60/mo. $29.99-$84.99/mo. $29.99-$89.99/mo. AT&T was named our best overall internet service provider. The company shares a reputation for strong customer service, scoring slightly higher than Cox in J.D. Power’s 2017 survey. Most of AT&T's options do require bundling an internet plan with DIRECTV service, but its internet-only plans typically offer high download speeds at cheaper rates than Cox. Cox’s lowest plan offers 10 Mbps download speed for $30 (for 12 months). With AT&T, only $10 more per month gets you download speeds starting at 50 Mbps — at least five times the speed you’d get with Cox internet. Comcast Xfinity ranks lower than Cox for customer service — it didn’t win a single J.D. Power award in 2017 — but is more reliable than Cox at keeping its users online and at promised speeds. Comcast also has Cox beat for value, even at the lowest service tier levels. Cox’s lowest plan offers 10 Mbps for $30 per month. For that same $30, a Comcast customer can buy six times the speed and is more likely to receive the speeds they paid for. Charter Spectrum offers a better value starter package than Cox: 60 Mbps for $30 per month, while Cox only gets you 10 Mbps for the same price. However, as internet usage goes up, Cox quickly becomes the better option. Charter Spectrum plans top out at 100 Mbps, which is paltry compared to Cox’s highest speed of 1 Gbps. For multi-device households and computer junkies, Cox offers much higher-capacity internet than Charter. Where is Cox internet available? Cox Communications serves the District of Columbia and these 18 states: Arizona, Arkansas, California, Connecticut, Florida, Georgia, Idaho, Iowa, Kansas, Louisiana, Massachusetts, Nebraska, Nevada, North Carolina, Ohio, Oklahoma, Rhode Island, Virginia. Plug your ZIP code into our ISP search tool to see whether Cox is available in your state. What internet speeds can I get with Cox? Cox offers a wide variety of internet plans, with download speeds ranging from 10 Mbps (Cox Internet Starter 10, $30 per month) to 1 Gbps (Cox Gigablast, $120 per month). Upload speeds start at 1 Mbps and climb to 35 Mbps. Speeds may vary by location; use our ZIP code tool to view available plans where you live. The right internet package for you depends on the number of devices your household uses and what you do on the internet. Someone enjoying a lot of 4K TV streaming, for example, will need a much faster download speed than someone who only uses the internet to check email. The table below is a good rule of thumb for choosing your speed based on number of devices. For a more concrete, usage-based estimate, try using Cox’s Speed Advisor Tool. What is Cox Panoramic Wi-Fi? Panoramic Wi-Fi is Cox’s take on a mesh Wi-Fi system. Mesh Wi-Fi uses a web of connected devices, rather than a single router, to provide better internet coverage throughout the house. That means no weird dead zones in the basement or around corners. To get Cox’s Panoramic Wi-Fi, just add the Panoramic modem to any internet plan at checkout; it costs $10 per month and comes with professional installation. Cox Communications offers a wide variety of plans, the option to add professionally installed mesh Wi-Fi, and a generous 1 TB data allowance. To top it off, download speeds reach up to 1 Gbps, which is among the fastest on the market. That said, Cox actually meeting those speeds isn’t guaranteed — the FCC says that 75% of customers reliably get those speeds. Cox also tends to be pricier than competitors. So, what does that mean for you? If you’re in an area where the options are DSL, satellite, and Cox Communications, Cox is probably your best bet. But if you have access to other cable internet providers, they may be more reliable and affordable than Cox.